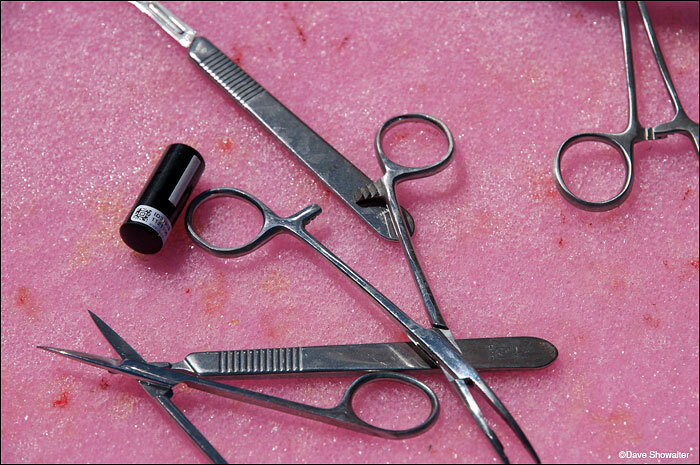 Surgical tools and a transmitter ready to be implanted in a lake trout. Yellowstone N.P. lake trout removal project on Yellowstone Lake. Photo © copyright by Dave Showalter.